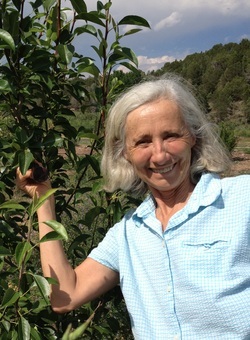 BIOS - fat city farmers, inc.
Illène Pevec, MA, PhD has a long history in the Roaring Fork Valley but also around the world. She began her school garden work in Vancouver, BC while doing an MA in Curriculum Studies and developing an inner city school garden. Her passion for creating dynamic learning environments for children took her to her birth country, Brazil, to begin "A Child's Garden of Peace", a series of school and community gardens with impoverished communities, a project that continues to develop in 2014 with a new garden in Puebla, Mexico serving very young children and teens. In 2011 Illène completed a PhD in Planning and Design at the University of Colorado and began her work with Fat City Farmers during this time to help develop the Roaring Fork High School and Yampah Mountain High School Gardens.Her research investigating how growing food impacts high school youth includes young Roaring Fork Valley gardeners and youth across the US. New Village Press will publish Illène's book Growing a Life, featuring these youth gardener voices on the power of tending a food garden to create healthy, engaged lives. Illène takes great joy in working with teachers and youth to nurture excitement in investigating life processes in gardens. 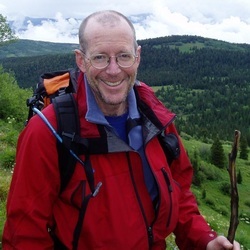 Michael Thompson is our president, and a Colorado architect focused on designing in concert with nature using permaculture principles, solar energy productive buildings, and greenhouses for growing food year-round in cold climates. Michael is also driven by a passion for local food, and he teaches classes in pruning neglected old fruit trees back to productive health, in cooking, baking and preserving nature’s bounty from garden and orchard. 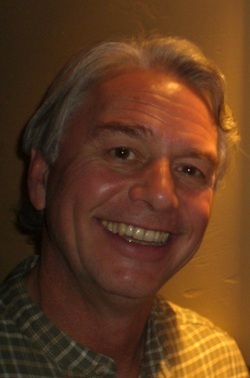 Alfred “AJ” Joos, our treasurer, has lived in the Roaring Fork Valley since 1991. AJ holds a Masters Degree in Electrical Engineering and a Business Administration Degree. He owned computer and Internet companies in the valley over the past 18 years. AJ owns a Managed Services and Computer Company, Aspen Hi Tech, LLC., located in the Alpine Bank Building in Aspen, that provides a wide range of computer and network support and repair services to local and remote clients. Hobbies include skiing, golfing, hiking, private pilot, sustainable food systems and economies, PV systems and electric car conversions.